October 18, 6 p.m. – 10 p.m., there will be the third Sunny Night organized – unique event with exciting entertainment program and grand special offers. Only at the Sunny Night, anyone can purchase unique prepaid cards, which for two months give 50% discount on accommodation and 25% discount on SPA center services, sports complex, as well as restaurants il Sole and Caviar Club. Discounts can be used just after purchase, for example, one might relax at the room with a sea view, enjoy tasty breakfast and swim in a pool with heated sea water. 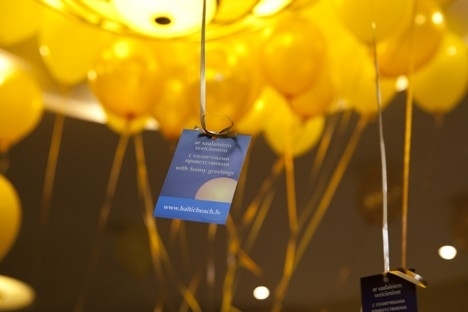 Unique offers, lottery, beauty and health experts’ advices, tasting, exclusive rooms inspections, great entertainment program, gifts and surprises – that all is waiting for you at the Sunny night at Baltic Beach Hotel. The whole evening, guests will be welcome at the elegant restaurant with a sea view to enjoy tasting menu’s 5 dishes for an exclusive price 18 LVL/25.61 EUR per 1 pers. See you at the unprecedented discounts night!